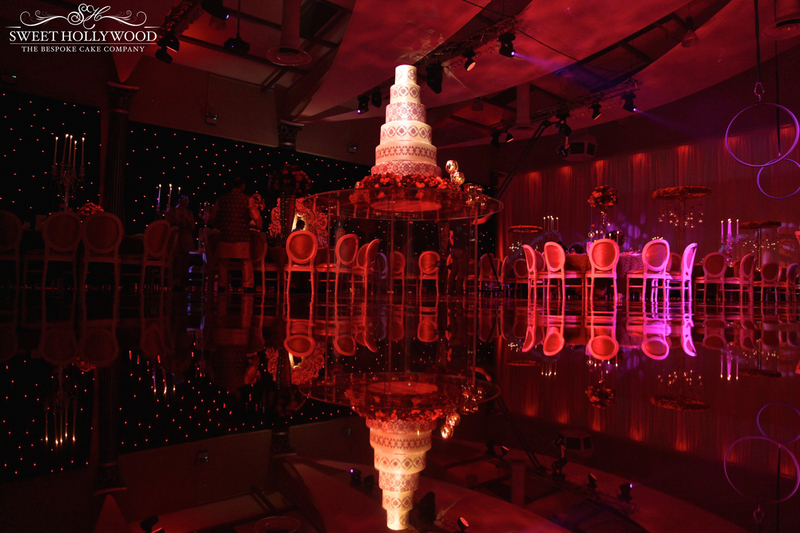 Luxurious Wedding Cake @ Dallas Burston Polo Club – Wows Guests! 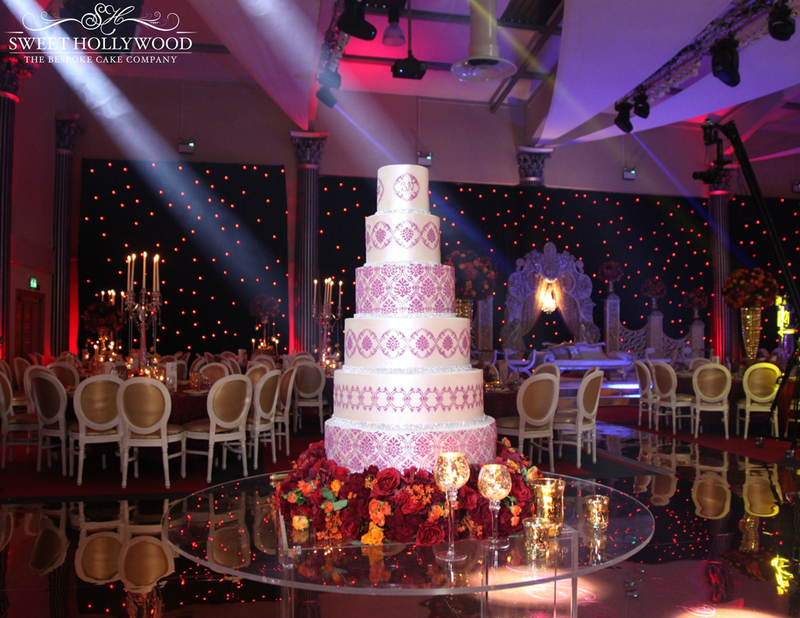 Sweet Hollywood is a London-based luxury wedding cake supplier serving 5-star wedding venues and prestige hotels, as well as brides and grooms across the region that are looking for exquisite wedding cakes that offer a culinary cake sensation rich in both flavour and design. 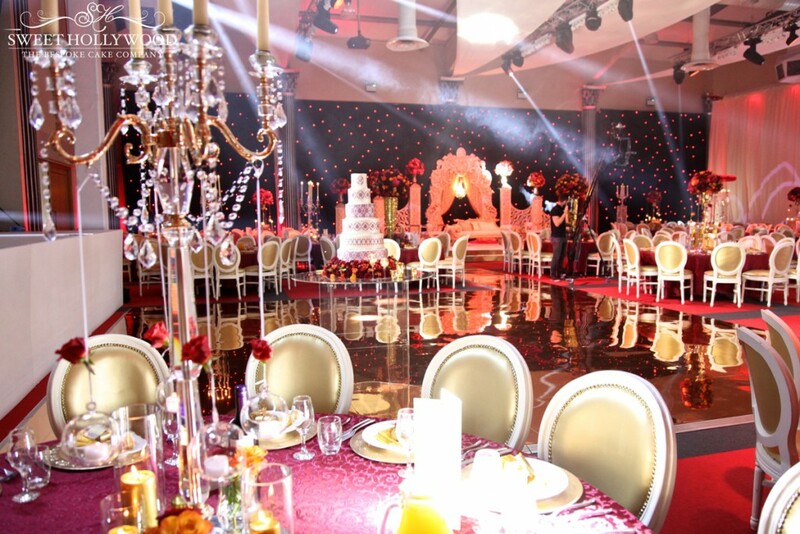 Sweet Hollywood prides itself on offering clients a first class service and with our unique wedding cakes we attract brides and grooms from all over the region. With the above in mind we were commissioned to create a stunning bespoke wedding cake for our clients Narinder & Sandeep’s luxurious Asian wedding reception @ The Dallas Burson Polo Club. 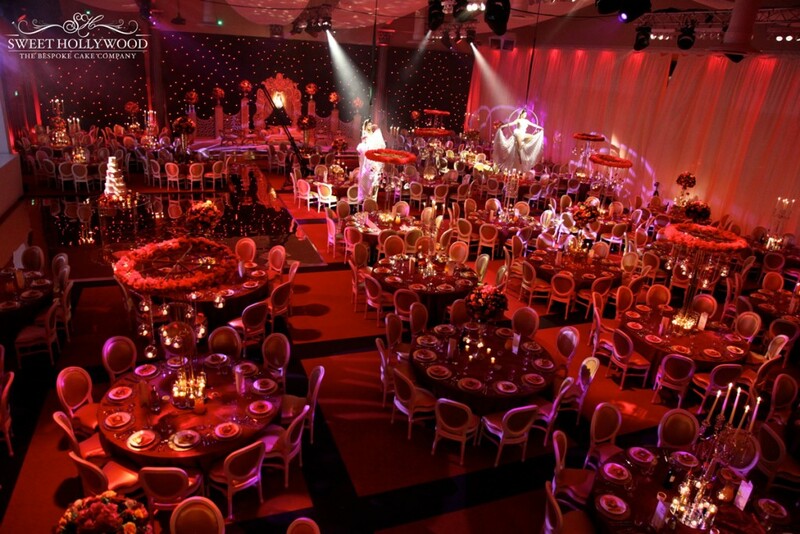 Set within 600 acres of impressive Warwickshire countryside, the Dallas Burston Polo Club is a unique, opulent and enchanting setting for anyone looking for a wedding venue with that wow factor. Sanjay Foods are the exclusive caterers for all Asian Weddings and they seamlessly managed the wedding reception to perfection. The stunning decor was beautifully put together by: Dream Occasions, Official wedding photography was by the award winning Gurvir Johal and we cant wait to see the official pictures! With our clients grand wedding venue in mind they were looking for an amazing wedding cake that matched! Sweet Hollywood created a stunning six tier superior grand sized wedding cake with champagne base tone and plumb royal icing detailing which complimented the clients outfits. The statment wedding cake featured a floral base to give the overally presentation extra height and match the theme of the stunning decor. Sweet Hollywood provides the inspiration, care and attention our clients deserve for their dream wedding cake. Stunning images of our clients luxury asian wedding recption and luxury bespoke wedding cake by london based cake designers Sweet Hollywood. The bespoke wedding cake was diplayed on our unique floating table and sat on a mirored dance floor which looked absolutely magic! Our Six tier superior grand staement wedding cake really made an impact within the Dallas Burston Polo Club and wowed suppliers and guests alike! Sweet Hollywood have an impecable reputation of creating some of the most dramatic and grand wedding cakes in London and surrounding counties. 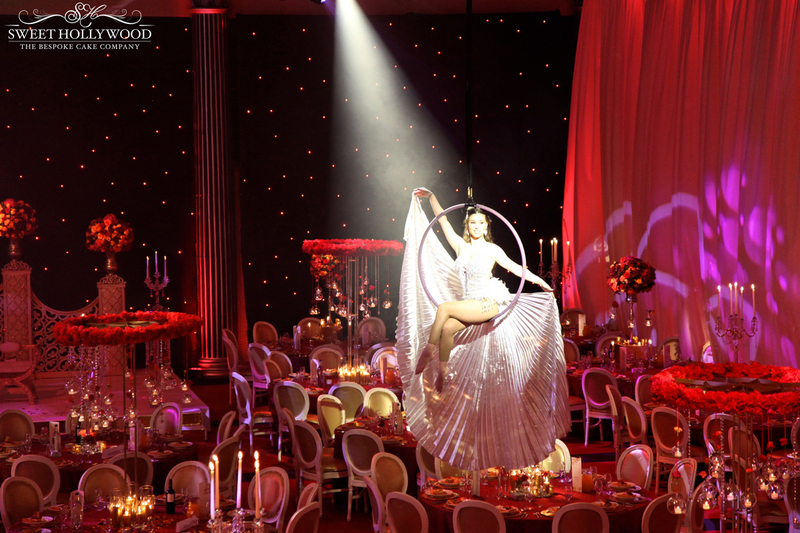 A stunning shot of some of the entertainment that was lined up for the night along with our Sweet Hollywood designer wedding cake. 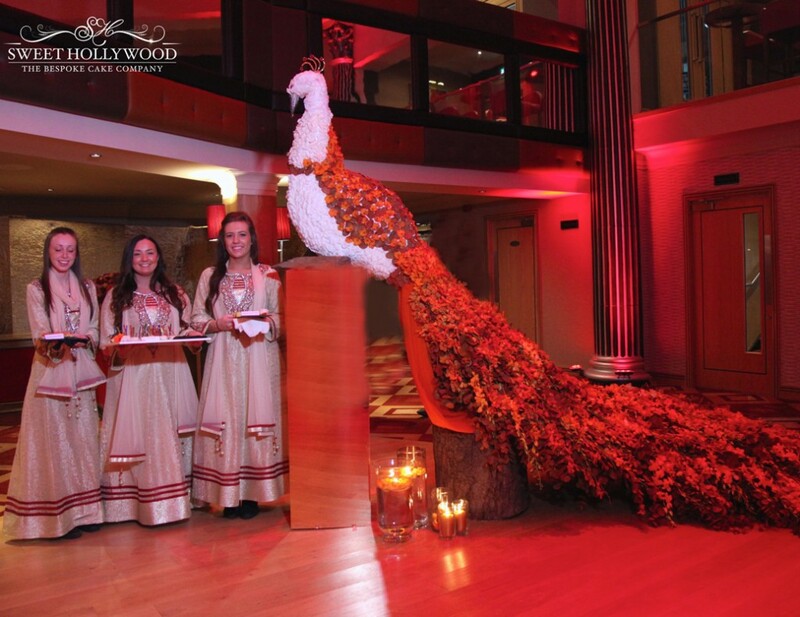 Leading asian wedding caterers Sanjay Foods staff giving guests a warm welcome. 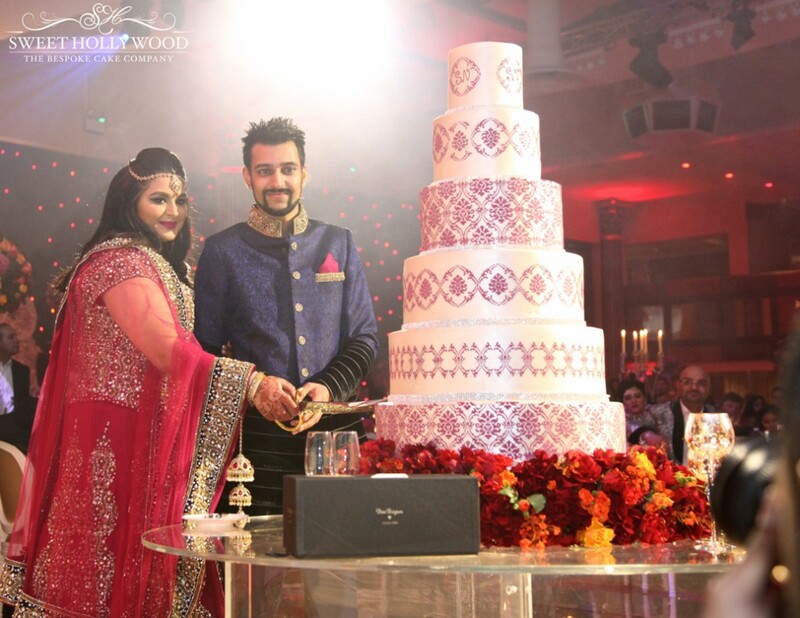 Our sikh bride and groom Narinder and Sandeep cut into their six tier tall wedding cake with a sword to add to the magic and drama of the luxury asian wedding reception. If you like our blog please do take a moment to leave a comment or hit the LIKE button before you go.